If you’ve treated a cavity in the past with a metal amalgam (silver) filling, then you might wonder if a tooth-colored composite one may be a better option. Metal has long been used for its easy availability, affordable price, and its durability against the pressure of biting and chewing. 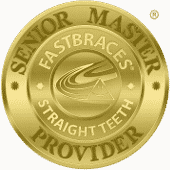 However, in more recent years, composite resin fillings have begun to rival silver fillings in their popularity. 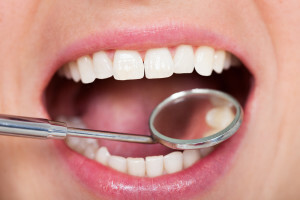 As many patients have found, the tooth-colored fillings offer a number of benefits over their metal counterparts, not the least of which is their appearance. As their name hints, tooth-colored fillings are tinted to specifically match your tooth’s color and shade. The composite resin is a mixture of finely-ground acrylic and glass-like particles that closely resemble the look and texture of natural tooth structure. Once the filling is placed, its discreet appearance will blend in seamlessly with your tooth, creating a restoration that no one will even notice is there. In addition to their more appealing appearance, tooth-colored fillings also protect your tooth better than metal ones. A cavity, which is a hole in your tooth caused by oral bacteria and tooth decay, must be filled and sealed to be restored properly. Composite resin is applied as a liquid to conform accurately to the cavity’s shape, and the material bonds securely to the tooth’s structure, unlike metal amalgam. By creating a more reliable seal against oral bacteria, tooth-colored fillings greatly reduce the risk of the cavity becoming re-infected.